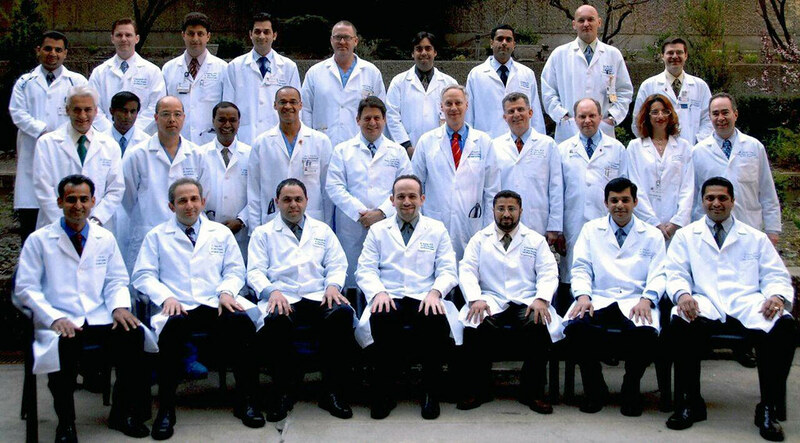 The general cardiology fellowship offers a 28-month core curriculum and 8-months of electives. The curriculum is structured to meet the standards of the ACGME and the ACC. Rotations have been developed in Preventive Cardiology and Peripheral Vascular Disease. 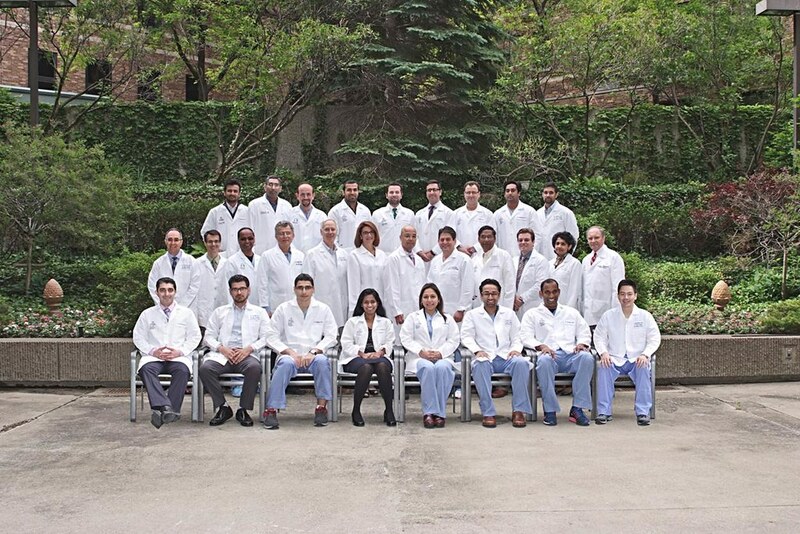 In addition, each fellow spends half a day per week in an outpatient ambulatory continuity clinic. 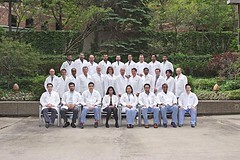 Elective rotations include but are not limited to heart failure and transplant cardiology, adult and pediatric congenital cardiology, cardiology research, and special tutorials in nuclear medicine. 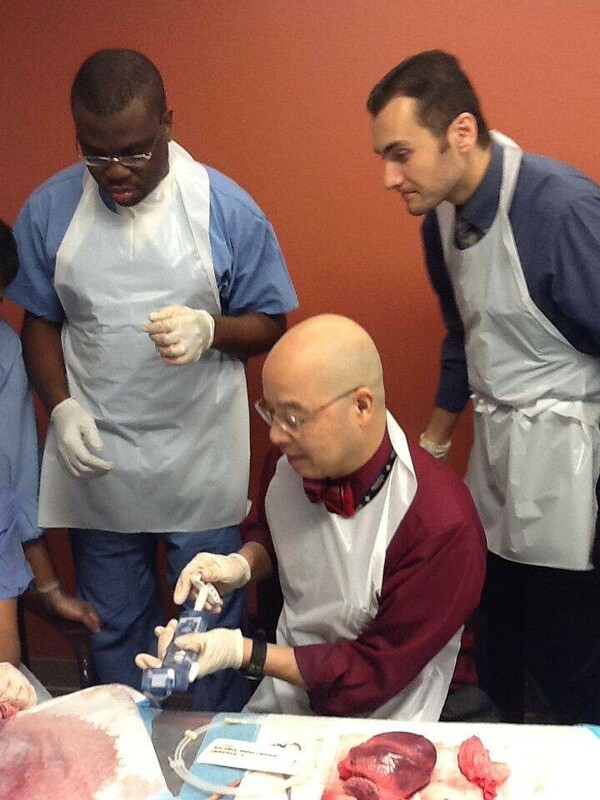 Many fellows elect additional time in the catheterization or non-invasive laboratories. 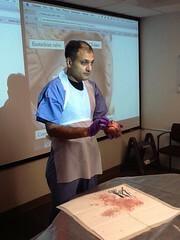 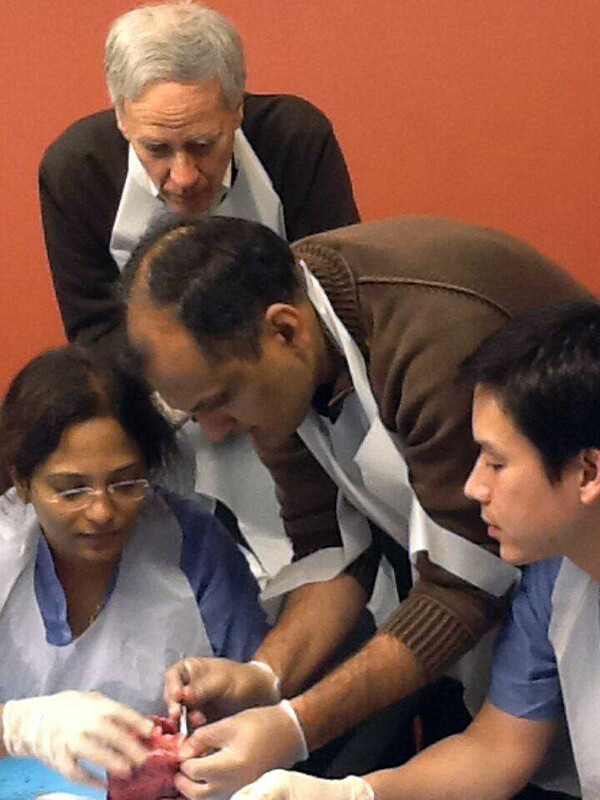 Dr. Hassan at Ascension St. John's Annual Heart Dissection Course. 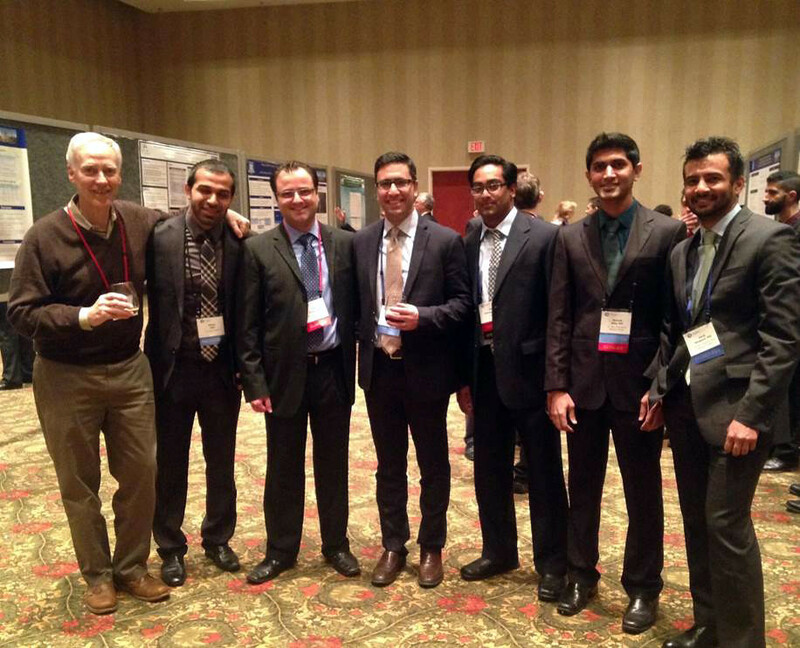 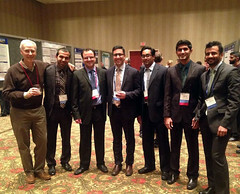 Dr. Rosman and fellows at Michigan ACC. 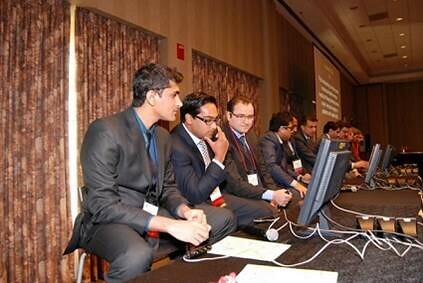 Fellows at Michigan ACC Jeopardy! Dr. Hassan moderating at Michigan ACC! 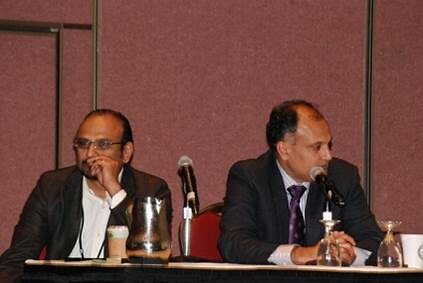 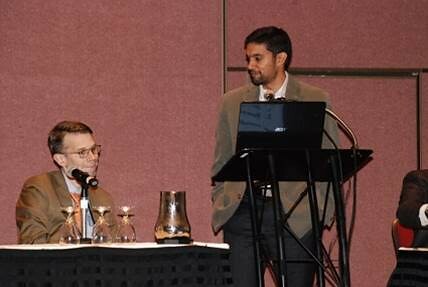 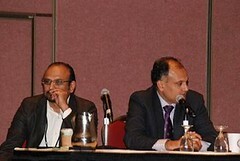 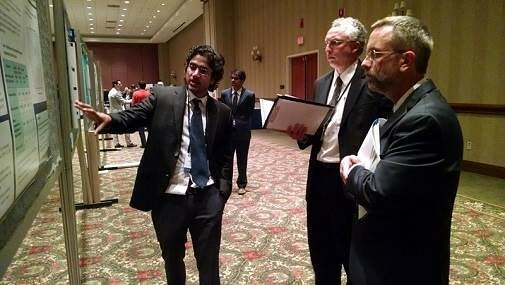 Dr. Shakir presenting at ACC Michigan. 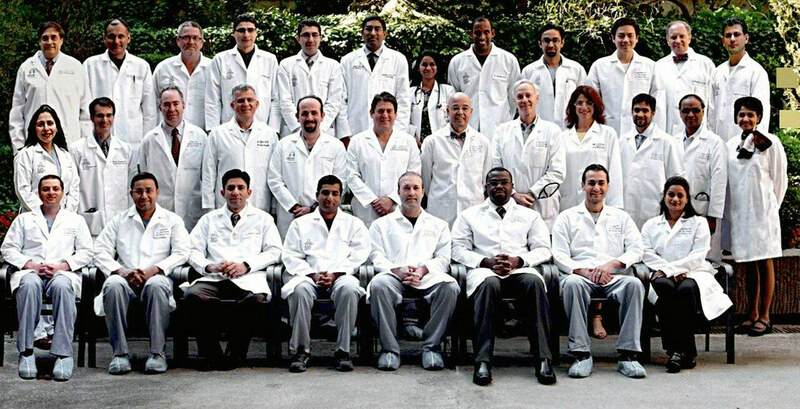 Group Picture of the Clinical and Interventional Fellows with Cardiology Fellowship Faculty at Ascension St. John Hospital. 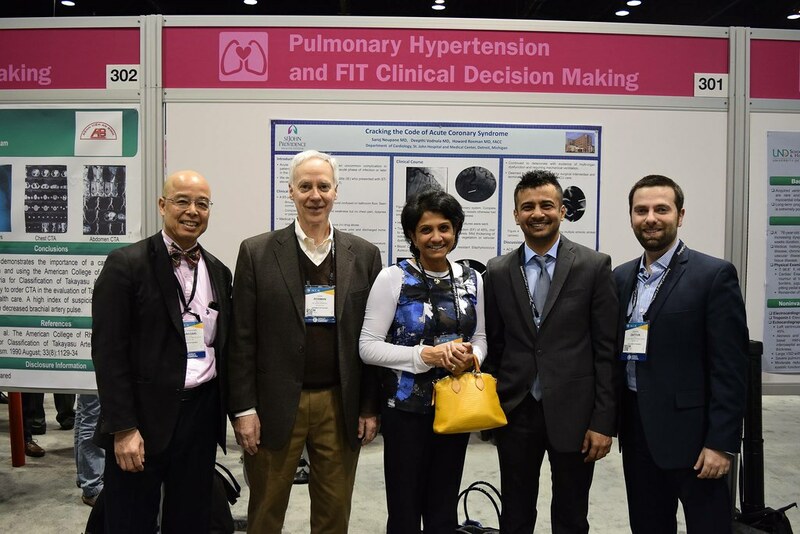 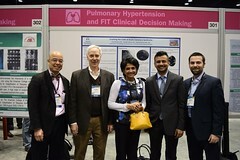 Dr. Rosman, Dr. John and Dr. Yamasaki with fellows at ACC Chicago!